Above: The author with a friend. In January 2014, while her sister ship Norwegian Getaway was doing a series of per-inaugural cruises in Europe, Norwegian Breakaway did something that she had not done since her own inaugural cruises some nine months earlier - - a two-day cruise. She left her homeport of New York on a Friday evening, sailed out to sea for a full day and returned to New York early on Sunday morning. Breakaway's winter schedule for 2013-2014 is mostly made up of seven-day cruises to the Bahamas and longer cruises deep into the Caribbean. However, Norwegian also inserted a couple of short cruises into the schedule. Cruise lines usually schedule such short cruises for two reasons. First, they are added in order to adjust the ship's schedule. If berths are not available in the ports that the line wants the ship to go to on a particular set of dates, the line may add a short cruise to the schedule in order to fill in the gap until berths are available. Second, short cruises are done for marketing reasons. People who have never cruised or who have not cruised on that cruise line may be tempted to give it a try during a short cruise inasmuch as the investment of time and money is not as great as for a longer cruise. If they like the experience, they will probably book a longer cruise some time in the future. At the same time, people who have cruised on the ship before may be tempted to come back to recapture the experience. This builds brand loyalty and future sales. Short cruises are often regarded as party cruises. While some guests on this cruise started drinking soon after they were up the gangway, no one appeared to have an intravenous alcohol drip going throughout the cruise. They were not boisterous and there was no noticeable misbehavior. Rather, the passengers were a normal Norwegian Cruise Line crowd that included some families with children. Inasmuch as this cruise took place over a weekend, it was an attractive weekend getaway for working people. If you were able to get off early from work on Friday, you did not have to use any vacation days at all. Of course, on a two day cruise the ship is not going to be able to get down to the tropics. However, Breakaway has indoor resort-style facilities (e.g. the spa) and offers an array of entertainment and dining options. 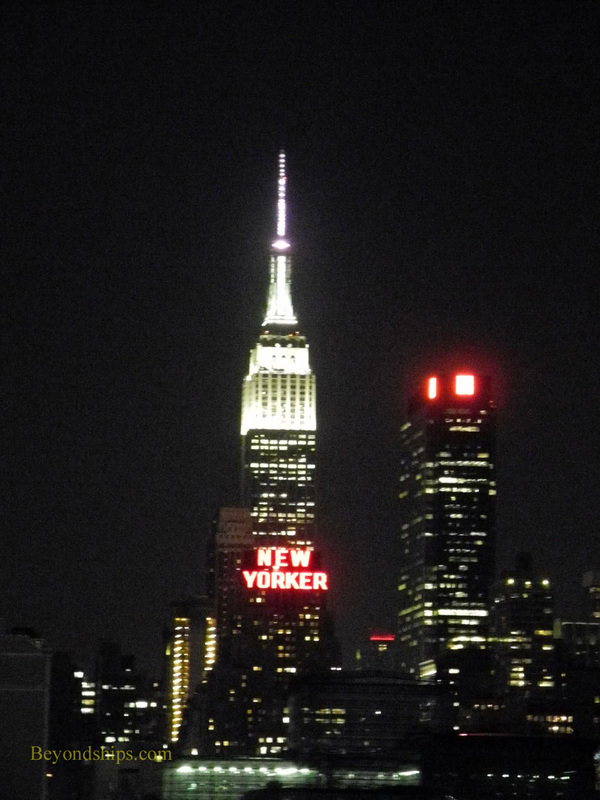 Consequently, it was an attractive alternative to the bleak late January landscape of the New York area. Weather is always an issue on a winter cruise out of New York. On this occasion, the weather co-operated and embarkation day was a mild with temperatures in the 50s during embarkation. People were even out on the top deck using the main swimming pool and hot tubs. Most people, however, were content to just walk around outside exploring the top decks or the Waterfront promenade. We had similar good luck with the weather when we were out at sea. Indeed, Captain Holt even found some sunshine for us the second day off the Maryland coast. The sea was generally calm with only some wind driven white caps late the second afternoon. The ship, even going a very slow six knots, did not roll or pitch. Since it was too cold for most people to use the ship's outdoor facilities, there were more people inside the ship than on a warm weather cruise. The ship responded by scheduling more activities inside so that there was always something going on. Alternatively, you could just use the time at sea to unwind. 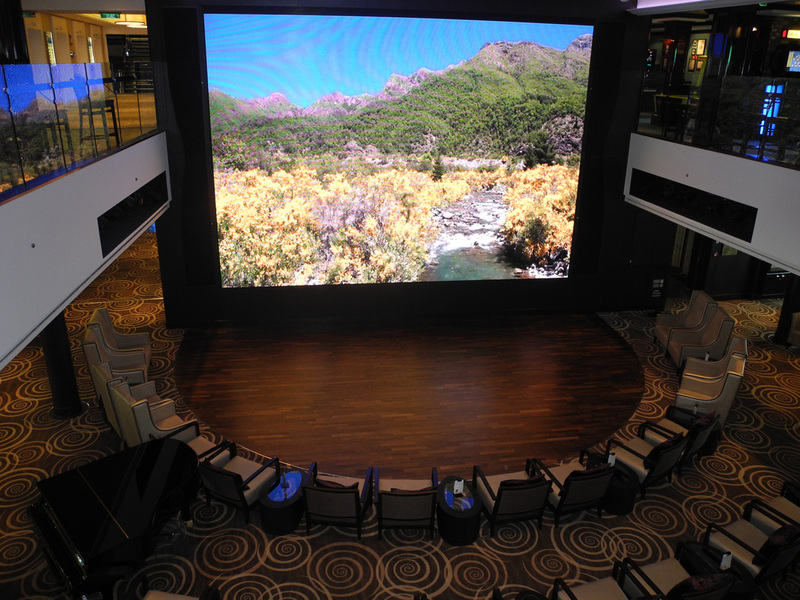 I watched a movie on the giant LED screen in the ship's atrium before going to lunch. Afterward, I went up to the spa for a haircut. (See separate article). Relaxing was the theme of the day. Because it was a short cruise, some things that take place on longer Breakaway cruises did not take place during this cruise. For example, there was no captain's reception for past passengers in Norwegian's loyalty program. There also was no Burn the Floor dance show and no fireworks display like Breakaway usually has during a longer cruise. Of course, they can't cram everything that is done on a seven day or 12-day cruise into a two day cruise. 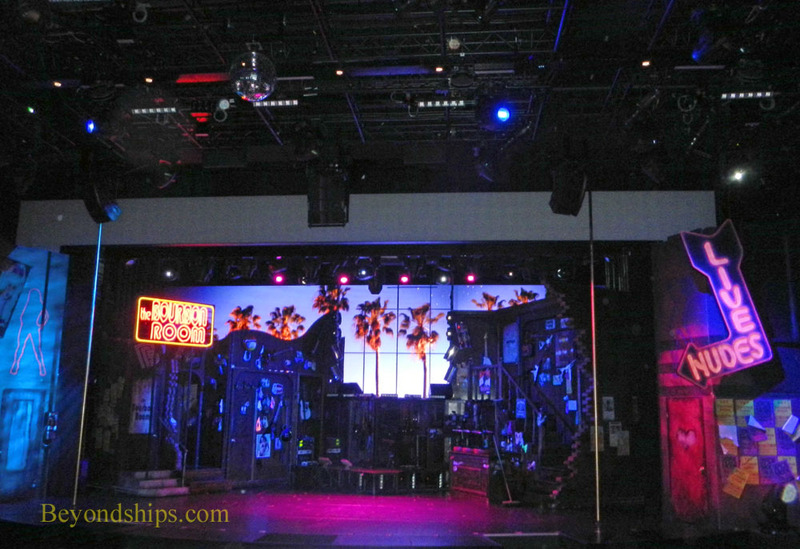 Each evening, the ship had two performances of the Broadway musical Rock of Ages, the Cirque Dreams Jungle Fantasy and the Second City Comedy troupe. I would have liked to have seen Second City because their improvised show is always different and because I had seen the other two shows on a previous cruise. However, my friends wanted to see Rock of Ages and so we went to that show. Rock of Ages stood up to a second viewing. Breakaway's theater is Broadway standard and so it was in no way a diluted performance in terms of lighting, sound and scenery. I also found that after I left the theater, my thoughts kept drifting back to the performance, which means by definition that it was a memorable experience. I stopped in the Fat Cats club each evening to see Slam Allen. Mr. Allen is a blues and R&B recording artist who became a sensation on Norwegian Epic and more recently on Norwegian Breakaway. (See interview). You do not have to reserve seats ahead of time for his shows. He is on stage with his band from 8:30 until 12:30 each night. You can come in anytime and stay for a set or stay the whole evening. Mr. Allen is a very good guitarist but what really makes his shows special is his personality and the way he interacts with the audience. On the first night of the cruise, Fat Cats was nearly full but by the second night it was standing room only. People lined up after the final set to shake his hand and/or have their picture taken with him. We had most of our meals in the Manhattan Dining Room (see review). Of the three main dining rooms on Breakaway, I like the Manhattan Room the best. It is nicely designed and during the evenings it has live music. The other two dining rooms, Taste and Savor, are less interesting rooms. However, the breakfast that I had in Savor before disembarking was tasty and the service was good. At the beginning of the cruise, I stopped in at O'Sheehan's Neighborhood Bar and Grill for an O'Sheehan's Burger. O'Sheehan's, named in honor of Norwegian's CEO Kevin Sheehan, is a New York Irish style tavern. The bacon cheese burger is authentic and so I had promised myself one in the days before returning to Breakaway. This time I also tried the Buffalo Wings and enjoyed their spicy flavor. For contrast, I had the refreshing fruit plate as the finale. As for accommodations, I had a balcony cabin on Deck 10. It was too cold to sit out on the balcony but the weather permitted me to go out there for short periods for some fresh air and the view. Also, it was nice to have natural light coming through the glass doors. Above: The weather during the course of the cruise. 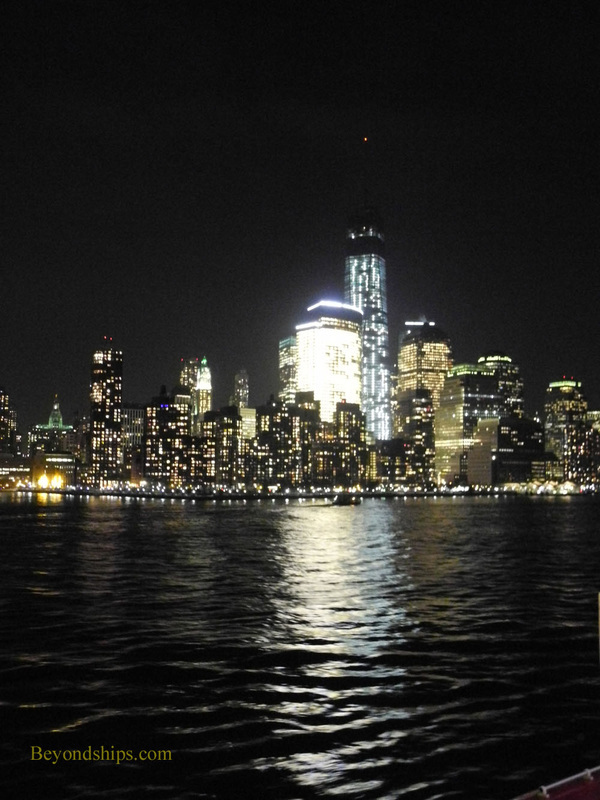 Above and below: The Manhattan skyline during the sailaway. Above: The ship's atrium with its giant LED screen is multi-purpose. It is used for live music, game shows, lectures and even as a movie theater. Above: The theater prior to a performance of Rock of Ages. 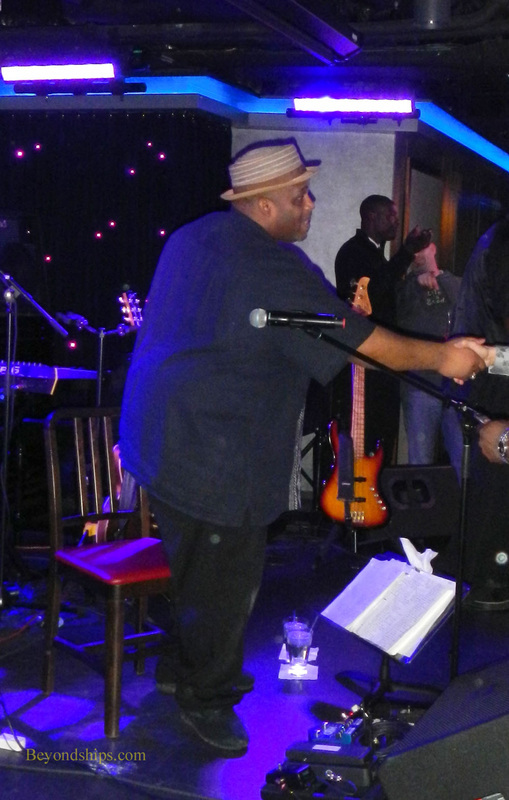 Below: Slam Allen shaking hands with fans in the Fat Cats Jazz and Blues Club after his show. Despite the 39 degree temperature outside on the second day of the cruise, the heating system kept the room comfortably warm. Other pluses included the large flat screen TV and the shower in the bathroom, which was one of the largest I have experienced on a cruise ship. 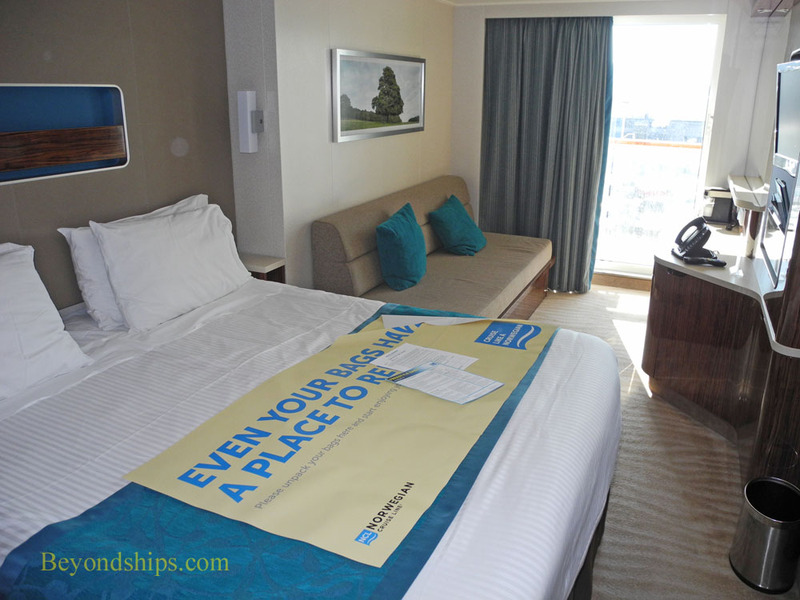 This short cruise on Norwegian Breakaway was a good break from the doldrums of winter. Having been on Breakaway before, I found it easy to get back into the rhythm of the ship. I also think that this served as a good introduction to the ship for my friends who had not sailed on her before. In all, an enjoyable and worthwhile cruise experience.